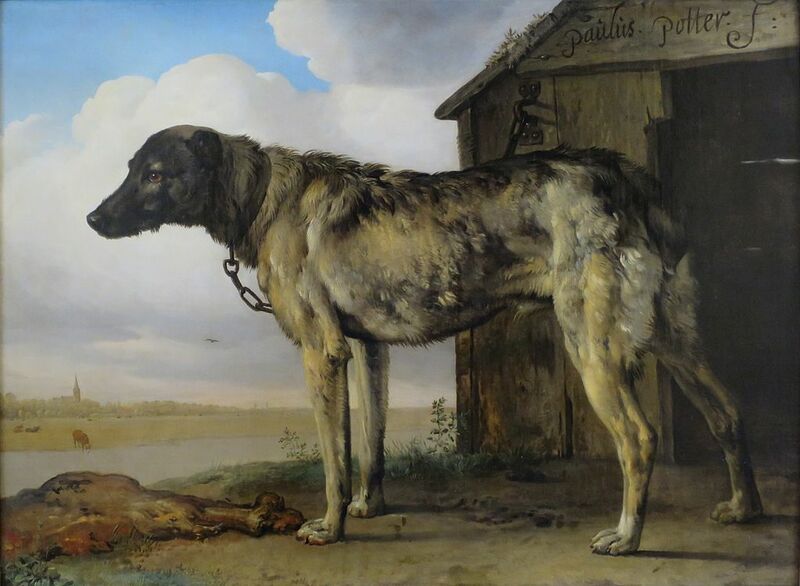 “A Wolf-Hound” by Paulus Potter. Maybe the same breed as in Ireland, but this dog was Dutch and was alive in the seventeenth century. “Though men in the mass forget the origins of their need, they still bring wolfhounds into city apartments, where dog and man both sit brooding in wistful discomfort. –Loren Eisley, The Unexpected Universe. Now I want to read the book. Thank you, Scottie.